My stepfather has a few tricks up his sleeve, two of which he breaks out every Christmas: cornbread stuffing and glogg. His stuffing deserves a separate post — it steals the show every year — but I imagine many of you are a little stuffinged out at the moment. Am I right? Good, let’s focus on the glogg then. The word “glogg,” Scandinavian in origin, derives from a verb meaning “to glow” or “to warm,” which is just what this hot beverage is meant to do — warm you up, get you glowing. 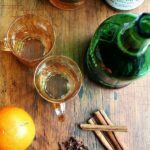 Coming from a land where the sun shines seldom in a long winter season, glogg is meant to work immediately, which is exactly what it does. In a sort of two-pronged attack, glogg enters the system: as vapors swirl off the hot liquid up into the nose making their way to the brain, the liquid itself — a mixture of red wine, port and brandy — pours through the blood stream. This is potent stuff. This is bone-warming, rosy-cheek inducing, party-starting stuff. It’s a beautiful thing. In my family, it’s not Christmas without glogg. And this year, it won’t be New Year’s without glogg either. I need one more round before I start drafting my resolutions. 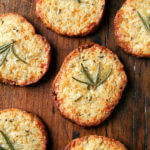 Moreover, I need something to accompany these rosemary-parmesan crackers, my latest pre-dinner fix. I discovered these a few weeks ago when I needed to make something for a potluck hors d’oeuvres party. Never knowing what to bring to these sorts of events, I opened an old classic and soon found myself in a particularly enticing chapter: crackers. Crackers. Why make homemade, you ask? Well, this isn’t the sort of cracker meant to be topped with cheese or pâté or any sort of party spread. This is both a cheese and a cracker in one entity meant to be enjoyed on its own. 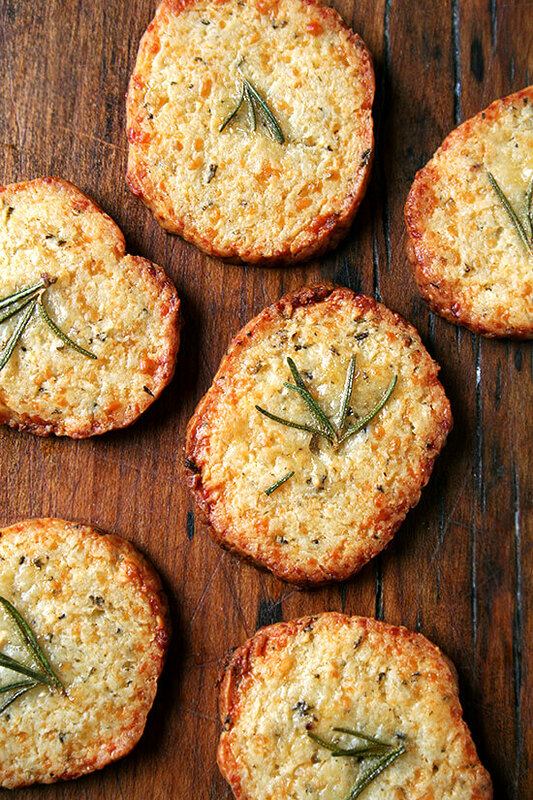 Topped with a teensy sprig of rosemary, these crackers, I worried, would be too pretty to eat. But that they were not. 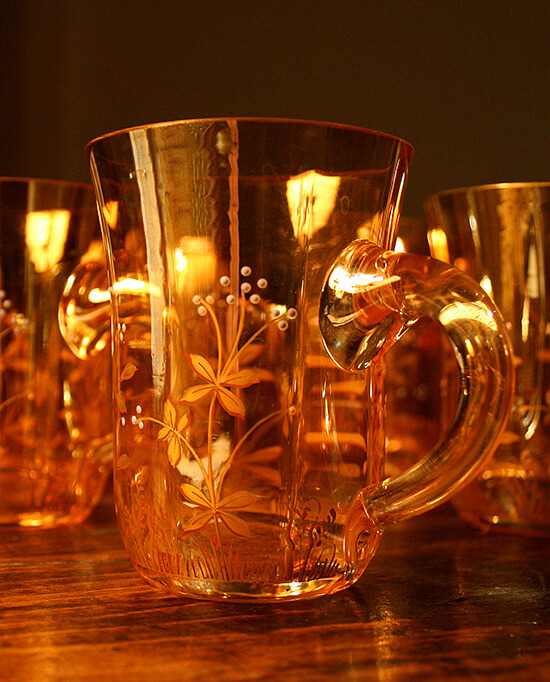 With both beer and wine drinkers alike, they were a hit. These salty discs beg to be washed down with a heartwarming libation, and in that sense become their own little party starters themselves. Hmmm, homemade crackers + glogg? This could be dangerous. Happy New Year everyone! Note: My stepfather has adjusted the original recipe over the years so feel free to adjust to your liking as well. *Chip adds 16 teaspoons (which is 5 tablespoons + 1 teaspoon) but start with 8 (which is 2 tablespoons + 2 teaspoons) and add more to taste. Combine all ingredients in a heavy saucepan and heat slowly without allowing the mixture to reach simmering point. 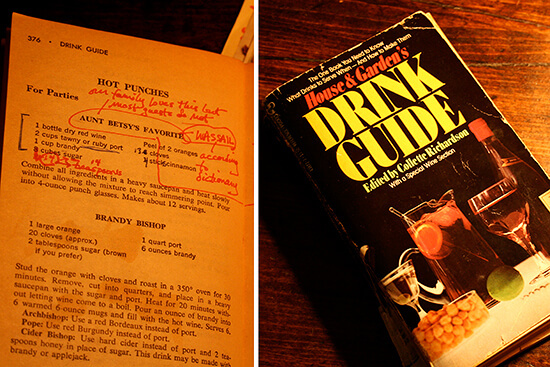 Pour into punch glasses. **Notes: Plan Ahead! The cracker dough should chill in the fridge ideally for 24 hours — my dough basically just chilled overnight, but the recipe suggests 24 hours. If you forget to make this ahead of time, try popping the dough in the freezer for two to three hours. Also: Bake these the day you serve them. They don’t keep well. 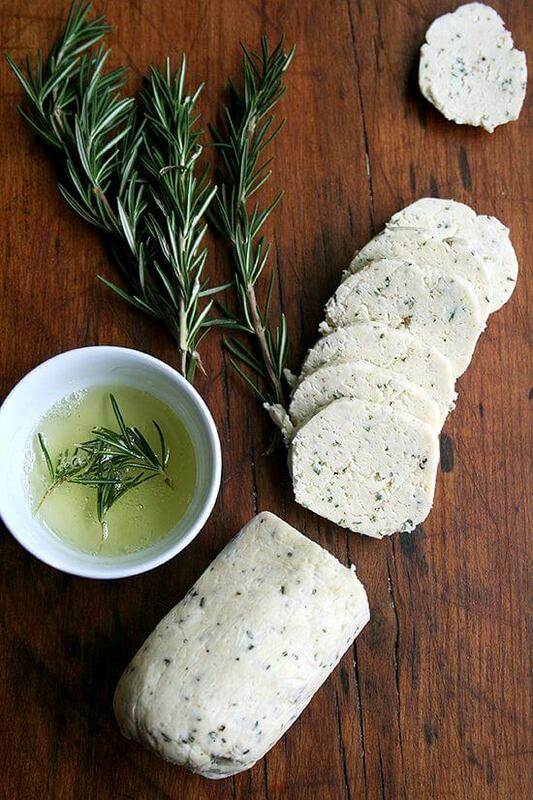 Combine flour, salt, pepper, and rosemary in the bowl of a food processor; pulse to combine. Add butter; pulse until mixture resembles coarse meal. Add cheese; pulse until combined. Add 1 tablespoon of the sour cream at a time, pulsing each time to combine. Process until dough comes together and is well combined. Heat oven to 325 degrees. Slice chilled log into 1/4-inch-thick slices. Transfer slices to a parchment-lined baking sheet. Dip a sprig of rosemary into egg white, and place in center of a cracker slice; repeat with remaining rosemary and crackers. (Note: The rosemary garnish is optional – it’s purely for decorative purposes.) Bake immediately, rotating sheet once, until crackers are golden brown and firm in the center, 25 to 35 minutes. Transfer to a rack to cool. 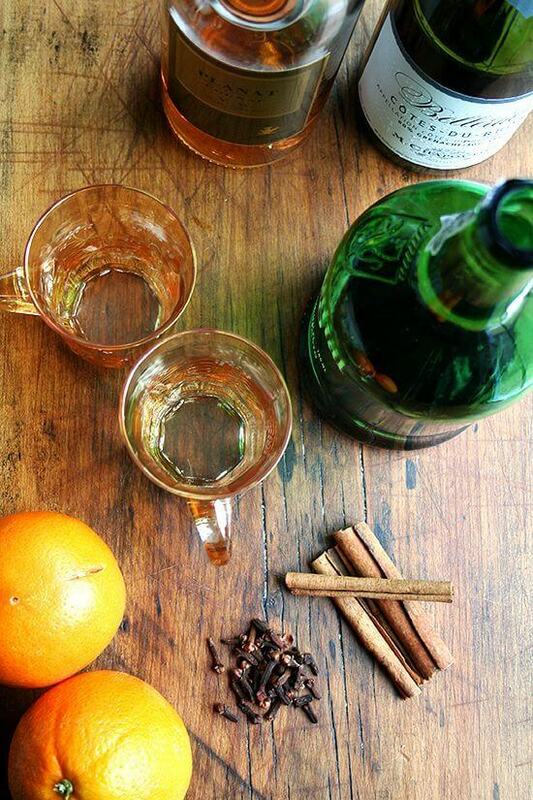 That’s a really excellent-looking mulled wine recipe! SO much booze! I will have to give it a run. As it happens, I have all the ingredients for those crackers too, so I have to try them at some point too! I hope you do Alicia! Happy New Year! Absolutely making those yummy crackers for NYE2012!!! Joe — That makes me so happy! Also, I think congrats to you are in order! So happy for you. Wish I could be there to celebrate lots of things this New Year. Also, just a heads up, (and I should have noted this in the post itself), but the cracker dough should be made the night before… so you have work to do tonight! Kisses to Aubrey for me. I’ve never heard of glog, but it sound delicious as do those crackers. I just love New Year’s Eve don’t you. I’m so up for appetizer food and cocktails. Happy New Year. Happy New Year to you Angela! 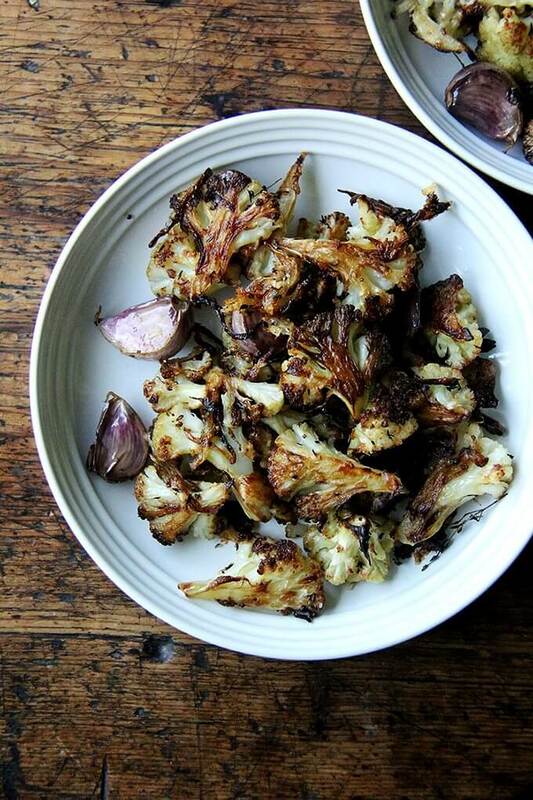 Congrats again on winning the Food52 app. 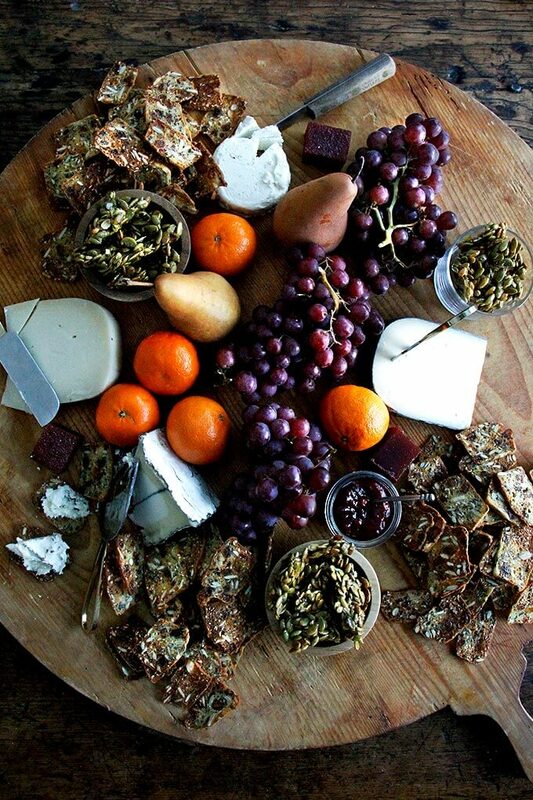 Oh, these crackers look lovely! But I really shouldn’t make them right now, I’m alone and would prefer not to eat the whole batch in one day. 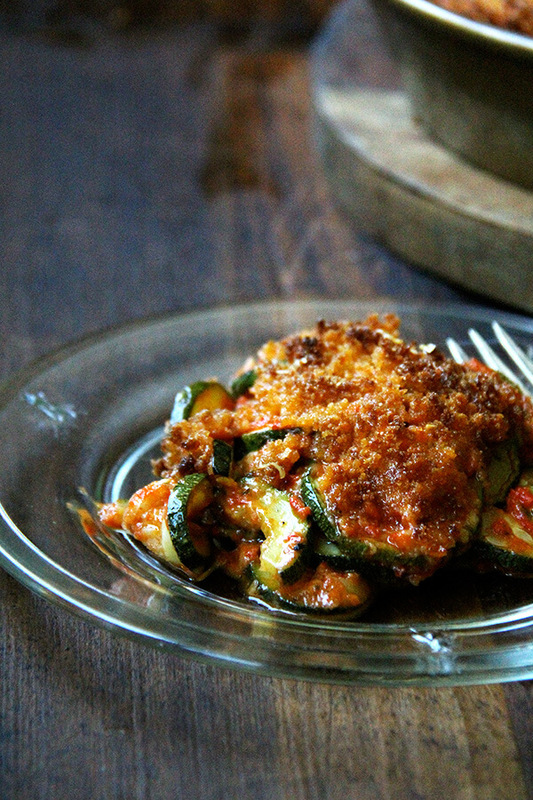 I bookmarked this recipe for someday that I have friends over! Normally I don’t drink but I’ve got a head cold to beat all and I think the glogg would make me very happy! LOL!! The crackers! Oh my they look wonderful! The first thing I noticed on them was the beautiful golden brown color! Saving this recipe for sure! kitchen . I can’t wait to try them. Thank you for the beautiful pictures and post! The crackers are wonderful! 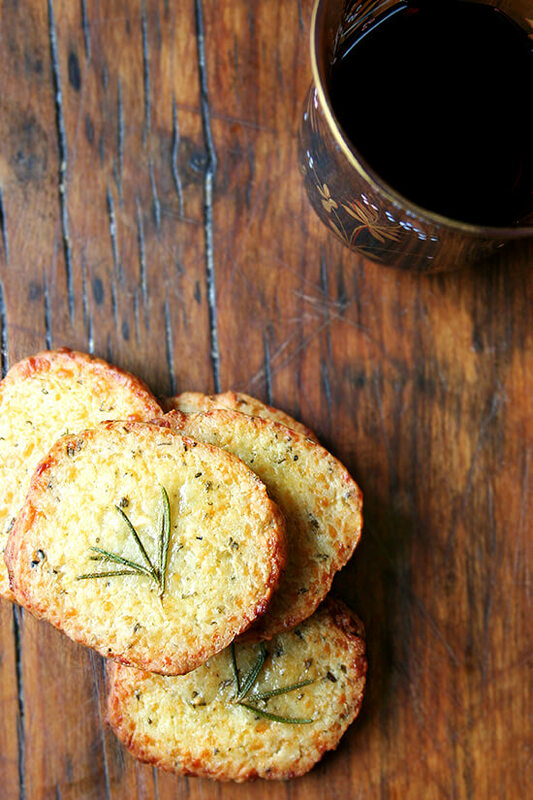 I made them with thyme rather than rosemary and they were easy, delicious and beautiful! Caryn — so great to hear this! Love the idea of thyme. 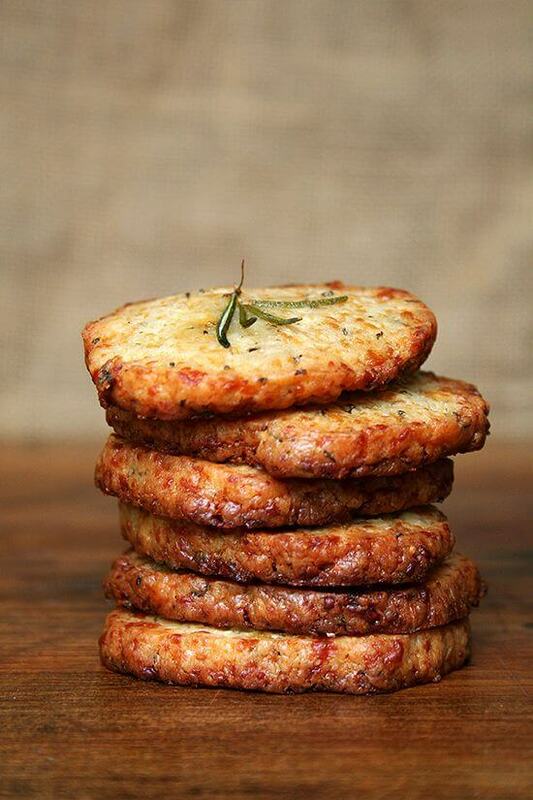 I have a recipe for lemon-thyme cookies that I adore. ok, those look divine! can’t wait to make them!!! El Oso con Botas — Welcome! Thanks so much for your nice words! Have you tried making these gluten free? No, but I am a real fan of the King Arthur Gluten-Free Flour, C4C g-f flour and Hodgson Mills g-f flour. Hope that helps! Hi Alexandra! I am hoping to bake these the night before an early-morning long flight as a snack for on the plane. I know you said they don’t keep well – do you think they would work for this purpose? Thanks so much for your advice! If you had asked me before today if I would ever make my own crackers, I would have said “no way”. But after seeing your golden crackers, and making them myself, now I say “I make amazing crackers!”. They were so simple to make, and I took your advice and popped them in the freezer for a bit to allow for slicing, and they were perfect! Thanks so much for sharing! Chris, I’m so happy to hear this! Aren’t homemade crackers such a treat? You are inspiring me. It has been too long since Ive made a batch of crackers — they’re such a good party trick, too. I found the cracker recipe on a site touting low carb, but these are definitely not. Looks good though, for someone else. Nice work and photos. Hi! Just wondering if these crackers can be made ahead and frozen. Would it work?